My fabulous Horse Vet, Sandi Faris with Harmony Veterinary Services and my awesome Farrier, Brandyn Davis, were working on my “Dally” to fit her with proper shoes and pads. They used the duct tape to position her shoe and pad for the xrays, before nailing into position. 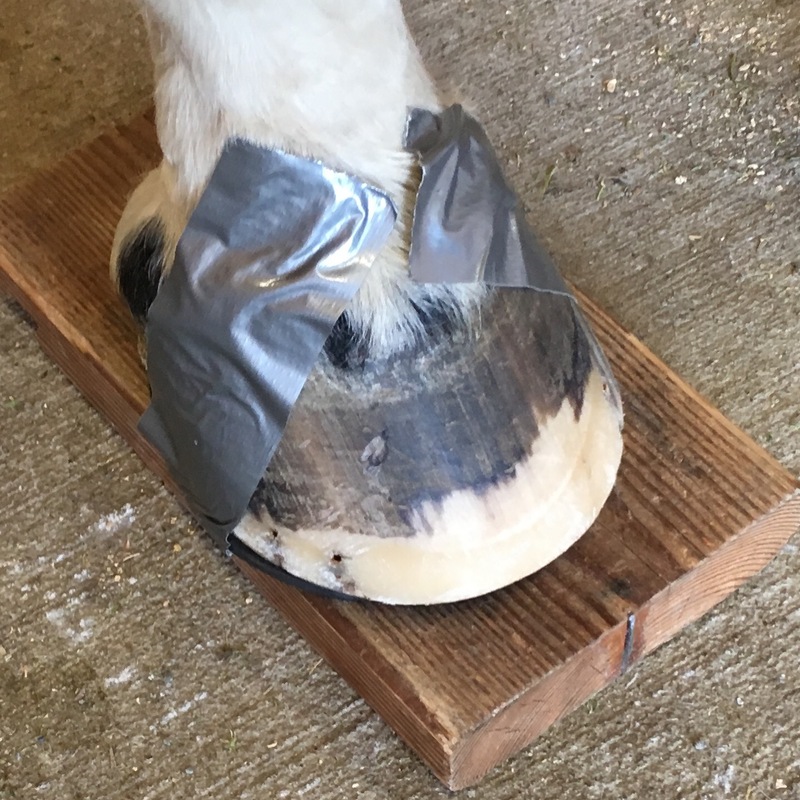 While I am saddened my girl has developed early signs of navicular, the good news is that with consistent proper shoeing, pain med’s and drugs to stop bone breakdown, she will be happy and healthy. Plus, Dally and I now are bonded even more. Who knew human drugs for bone loss such as Osteoporosis could also help horses? I hope this makes others aware of this scenario to help with their own horses. You have heard it takes a village? Sometimes it just takes teamwork, not egos to make things happen. Gee, that sounds a lot like Real Estate. Collaboration gets it done!